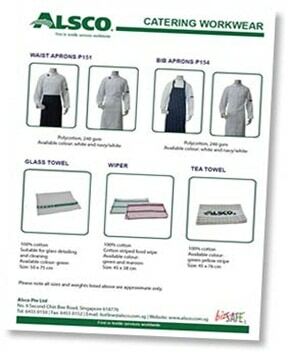 A simple apron can make a huge difference in your restaurant kitchen, not only in terms of hygiene levels but also setting a professional tone for service. 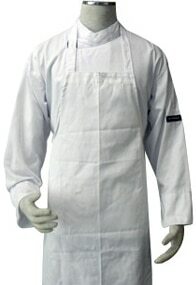 Traditional white aprons signify cleanliness and are generally worn by highly visible head chefs but also shield the wearer’s garments from food splatters, stains and burns. 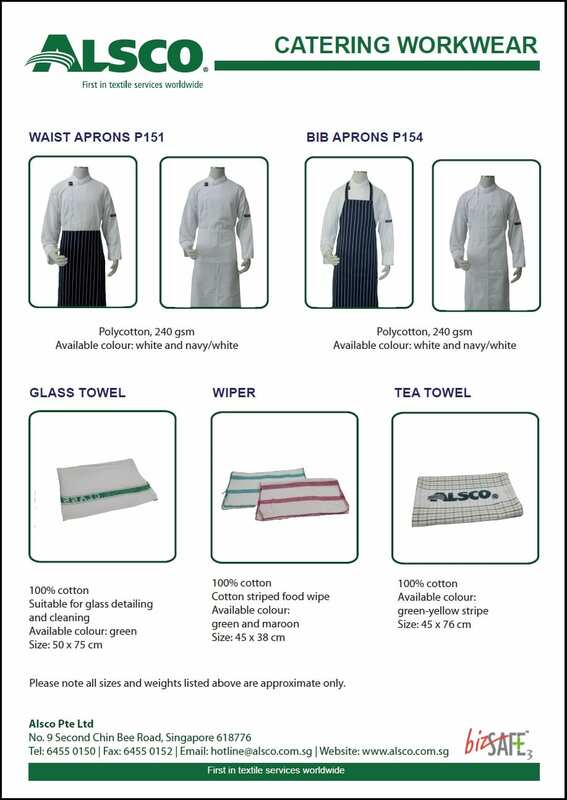 Alsco aprons for head chefs, sous chefs and waiters are available in a wide range of colours and styles to suit your establishment’s decor. 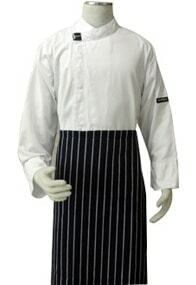 Also available for butchers in traditional blue and white stripe. 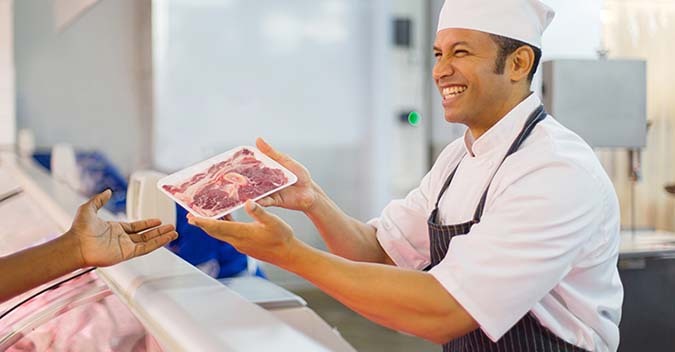 Crisp-looking and comfortable these aprons are perfect for long hours in the butchery. 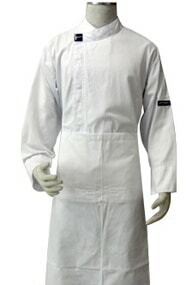 They protect butchers from stains and grime, while allowing for a smart and professional look. Simple to use self-ties make them is easily adjustable. Choose from traditional white, black, stripes also full-length or half-length. Many Styles To Choose From, Just Ask! 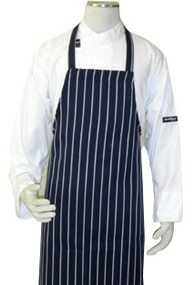 Bib style apron, self fabric ties and neck loop. 87cm in length from top of bib to bottom of hem. Bib style, self fabric ties, with horizontal wide stripe and neck loop. No pockets. 83cm from waist to bottom hem. To get started, simply telephone our friendly customer service representatives on 6455 0150 or complete the online enquiry form. 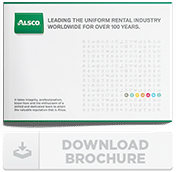 Alsco’s Managed Rental Service is the cost-effective alternative to buying. We eliminate the need for large cash purchases and keeping your equipment maintained and up-to-date. 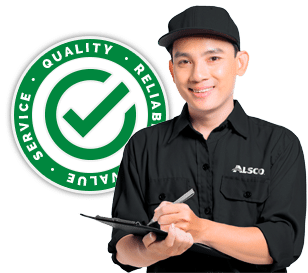 Starting from just $1 a day, you’ll benefit from regular delivery schedules, free replacements, and emergency, on-demand servicing. 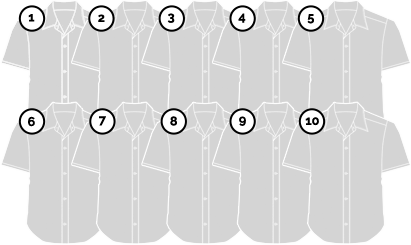 You'll be assigned an agreed amount of garments.